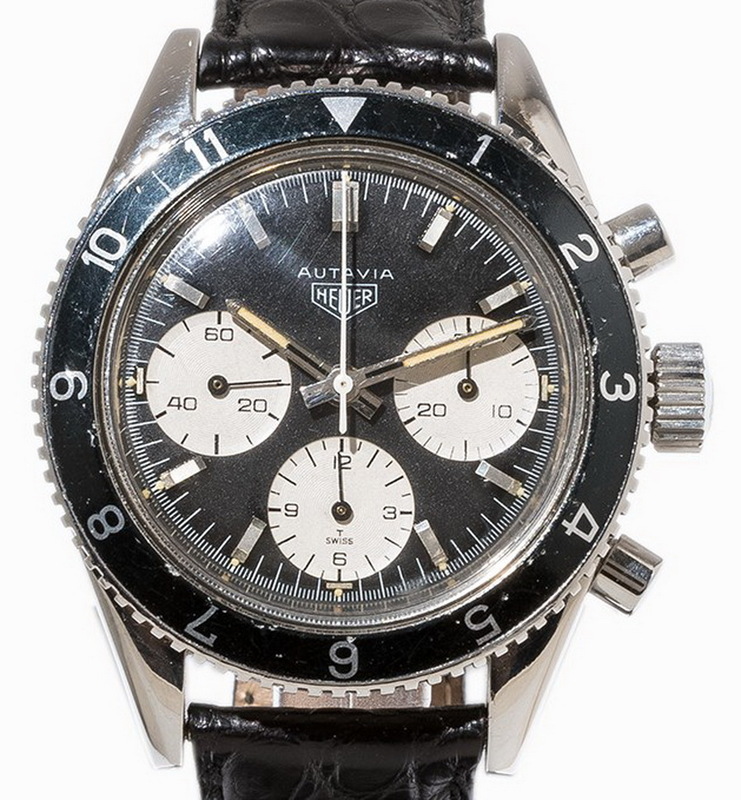 Now This "Franken" Autavia, for 62,000 Euro ? ? ? Auctionata . . . some sort of Rindt-related thing . . . sold at 62,000 euro (with buyer's fee; 47,500 hammer price). So tell me, guys . . . what is this watch? First execution case (52855 serial number) . . . third execution "Rindt" dial . . . later hands from 2446C Autavia. . . the usual question -- rare prototype / multi-generational transitional model or nasty Franken? I am confident that it is a Franken. Re: Now This "Franken" Autavia, for 62,000 Euro ? ? ? Abel those small lume plots on Dial...what's that ? Dial and Hands Not Correct ? ? ? Does Auctionata Guarantee of Authenticity Cover "Franken"? And the Andretti Fetches 39,000 euro ? ? ? My better 3646 was a steal at UKpound 6500!! Re: My better 3646 was a steal at UKpound 6500! !